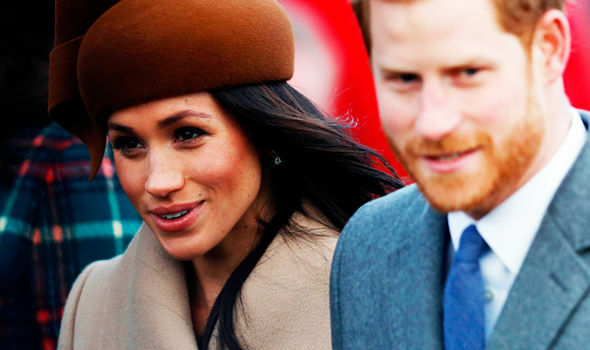 PRINCE HARRY and his fiancee Meghan Markle have delighted well-wishers by sending out touching thank you notes ahead of their wedding in May. The couple, who gained an army of fans when they announced their engagement in November 2017, have been inundated with goodwill messages. 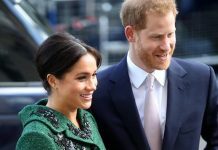 News of their engagement and wedding, due to take place in May this year, prompted an on outpouring of affection from members of the public. Many sent handwritten notes via Kensington Palace. Kensington Palace said the couple were “incredibly touched” by the correspondence. Now, in return for their fans’ thoughtful gesture, the couple have sent out unique thank you cards. 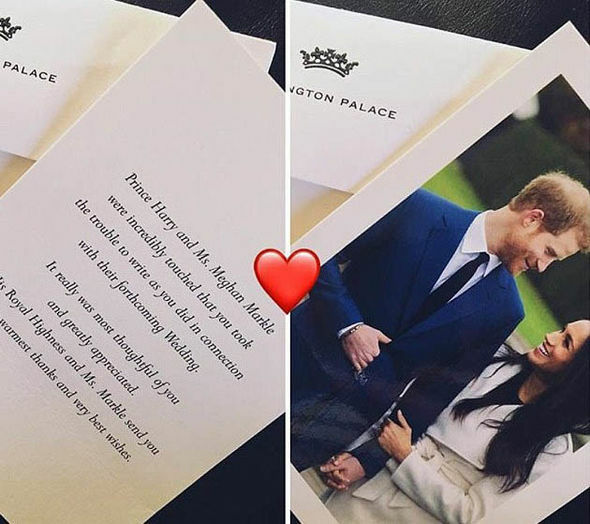 The cards, which have been posted on social media, feature a photo of the couple, the Kensington Palace crest, and a short note of thanks. 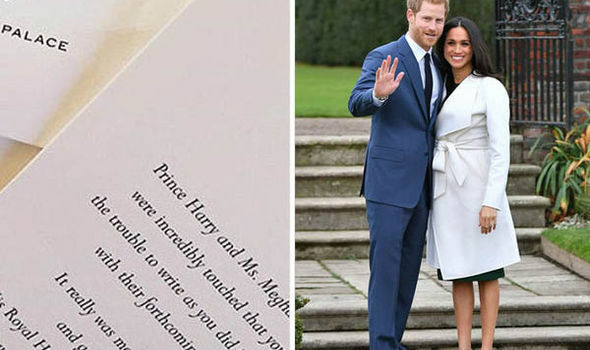 The cards read: “Prince Harry and Ms Meghan Markle were incredibly touched that you took the trouble to write as you did in connection with their forthcoming wedding. The cards are very similar to the card the Duchess of Cambridge sent out last February to thank people for birthday wishes. 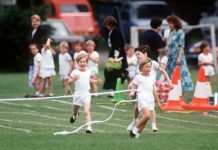 Millions of people watched worldwide as Prince Harry and his fiancee announced their engagement in the gardens in the grounds of Kensington Palace. 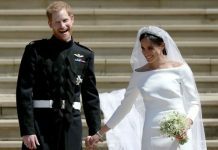 The loved-up couple, who first met on a blind date set up by pals in London in 2016, will tie the knot on Saturday May 19, 2018, at St George’s Chapel at Windsor Castle. 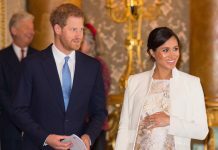 Just after Christmas, the prince whisked his bride-to-be away to the warmer climate of the Mediterranean coast on December 31. 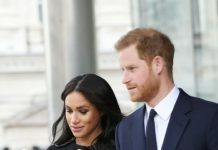 The couple, were recently reportedly holidaying In France following the American’s whirlwind introduction to life as a Royal.